After reading a post by Little Steps to Somewhere, the concept of having the ability to change your appearance was passed between the two of us. It made me think about what I would change about my appearance if I were the artist wielding the tools that would carve my body into existence. Initially my mind began to compose a list of the physical attributes I would alter but then my reasoning got in the way. Due to a sense of logic beyond my grasp, I firmly believe I was meant to plod through my existence in this body, blemishes and all. Sure my ankles and wrists are more suited to someone who plays football, but this body is me and the embodiment of many lessons I have learned along the way, good and bad. I gained my strength through my imperfections. This body has taught me acceptance and empathy, understanding and insight. 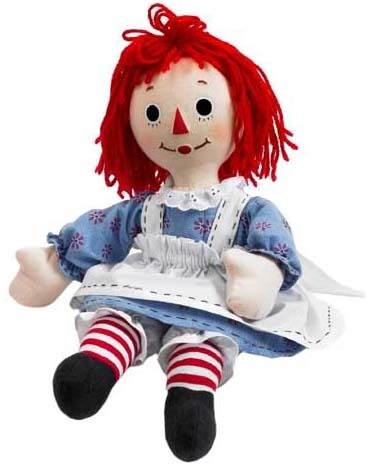 I am a Raggedy Ann in a Barbie Doll world and that suits me just fine. I am comfortable in my skin because that thick layer of protection has guarded me and served me well. I have earned each and every scar. I have learned what ugliness truly is and it does not have anything to do with not having a perfect body. Ugliness has everything to do with never learning acceptance of those who are different and never showing compassion where compassion is due. My arms jiggle but nobody notices that when they feel comfort in my embrace. My cheeks are chubby but that shortcoming is shrouded by my genuine smile. My mid-section carries extra weight but that casing does its best to guard the heart that always finds its way to my sleeve. And my eyes tend to leak on a regular basis but I would rather err on the side of human, having cause to buy an extra box of tissues, than to never show any emotion. So the chisel can stay hidden in the tool chest. No one part of me is perfect but when I look at the sum of all of my parts, I am pretty happy with the total. This is so beautiful and honest. ❤ I wish i could realise this too — that everyone could realise this! Thank you so much. I hope you can realize it too, it makes a very big difference.